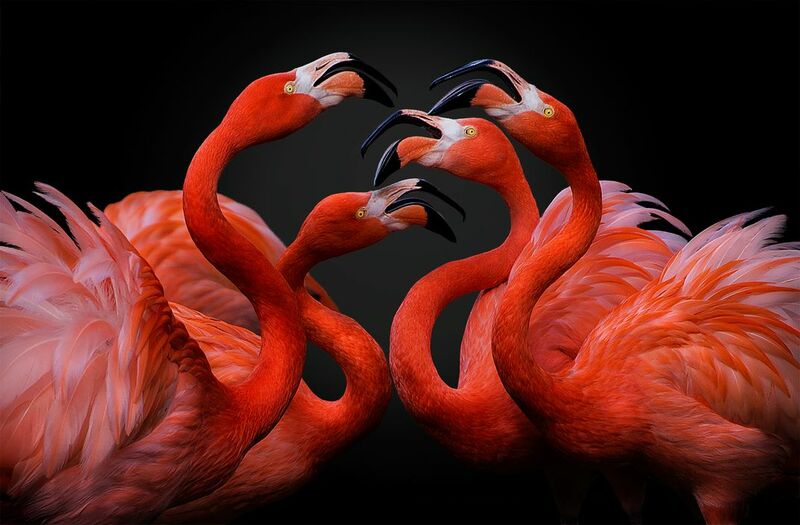 A group of pink flamingos arguing. Their noisy encounter accompanies their red bodies as they were ballet dancers. Date Uploaded: Oct. 23, 2015, 11:03 a.m.